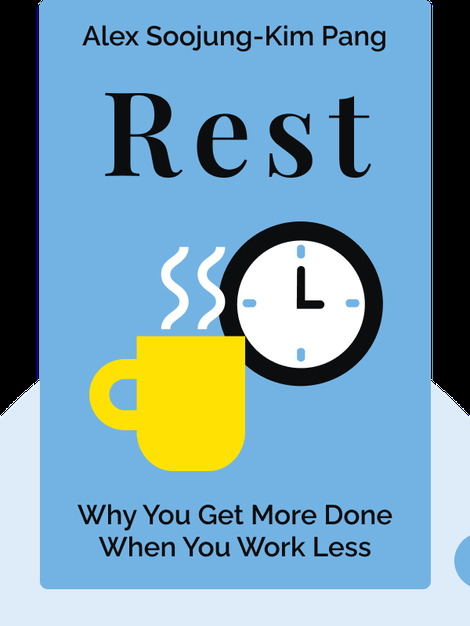 Rest (2016) takes aim at the common misconception that the longer we work, the more we’re able to get done. Written by a Silicon Valley strategist whose punishing regimen of long office hours brought him perilously close to a burnout, this empirically grounded study turns that idea on its head. Hitting your targets and achieving success isn’t about grinding out endless hours at your desk – it’s about finding the best time to work, getting enough rest and nurturing your creativity. 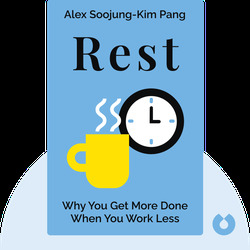 Alex Soojung-Kim Pang is the founder of the Restful Company, a consultancy firm based in Silicon Valley that teaches organizations how to cultivate a better work-life balance through talks and workshops. A visiting fellow at Stanford University, Pang is the author of The Distraction Addiction. He has also written for Slate, Wired, Atlantic Monthly and Scientific American.